After our failed attempt for pizza in Amarillo, we were anxious to get downtown to one of our other very favorites, Fired Up Pizzeria. 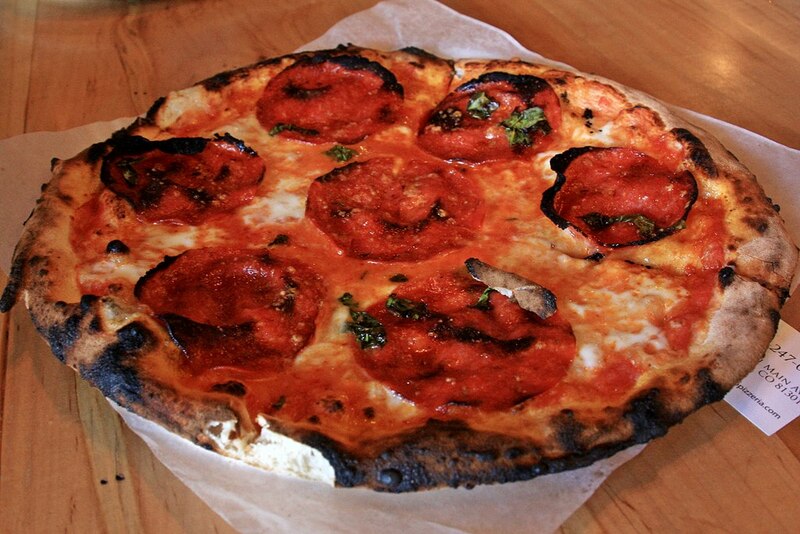 We each had the Margherita with pepperoni, well done (crispy) and a Ska Pinstripe. Although that combination is hard to beat, you can bet that we will keep trying. While there we got some recommendations from the couple sitting next to us for other places in town to eat. One of those was the same we got earlier from Mark at Brew Pub & Kitchen. 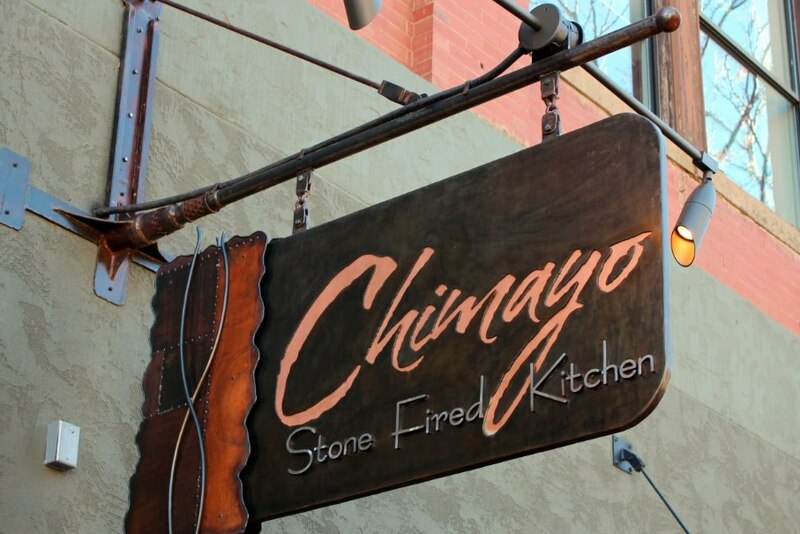 So the next day we decided to try Chimayo Stone Fired Kitchen. Their menu had several things that sounded good. Karen wanted a pizza but without pepperoni on the menu she took a chance and ordered the Orange Chipotle Chicken specialty pizza. I did not want another pizza but that orange chipotle was intriguing so I opted for the half rack of baby back ribs with orange chipotle BBQ sauce. 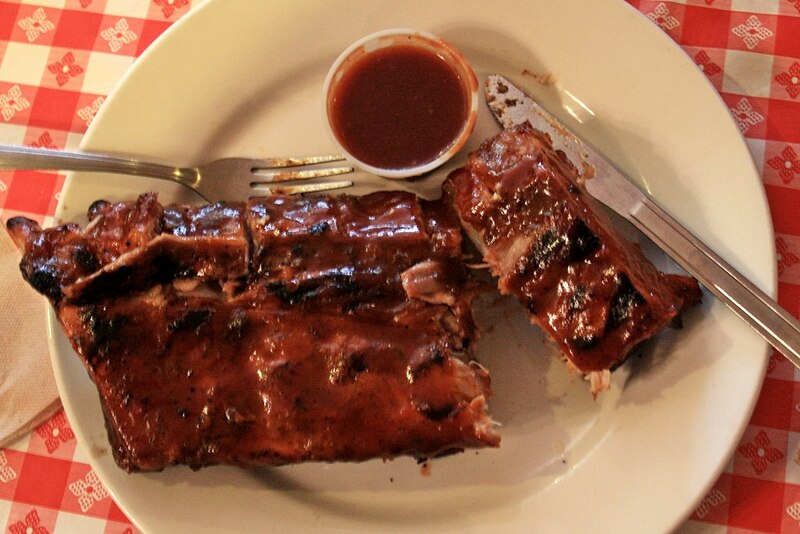 The ribs were good, tasty and tender but that sauce was too sugary-sweet for my tastes and was nothing like the excellent flavor of the pizza Karen enjoyed. 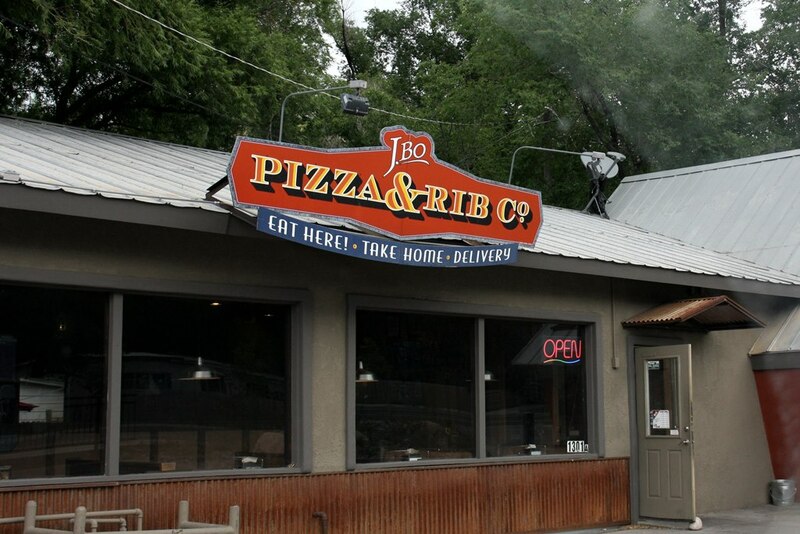 Another recommendation we got for pizza is a place called J.Bo’s Pizza & Rib Co. and with a name like that, we couldn’t resist. I figured if Karen could have pizza three days in a row I could certainly do ribs twice in as many days. 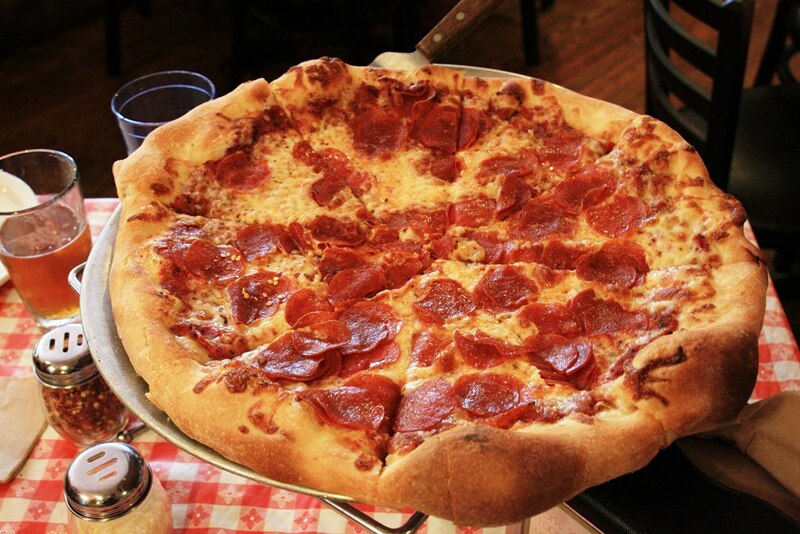 Karen’s pizza was piled up with way too much salty pepperoni but other than that it was okay. 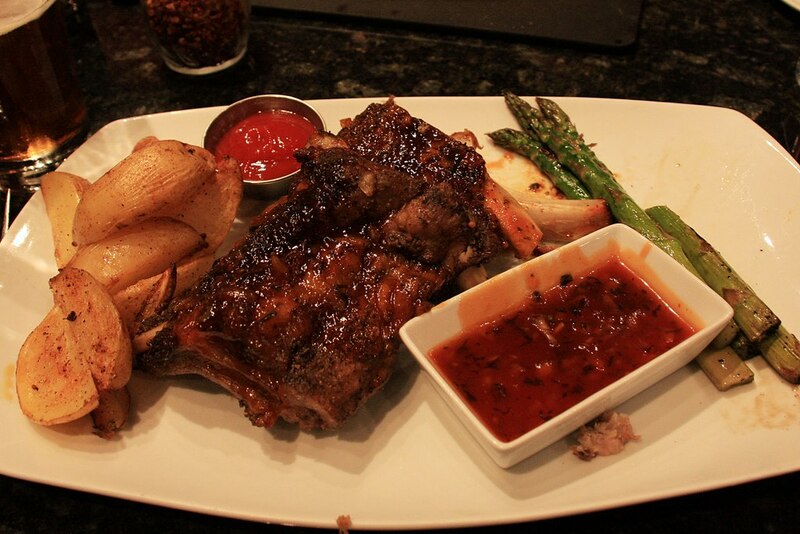 The ribs were pretty good in spite of the boring barbecue sauce. One would think that by day four we would be ready for something other than pizza or ribs, but one would be mistaken. 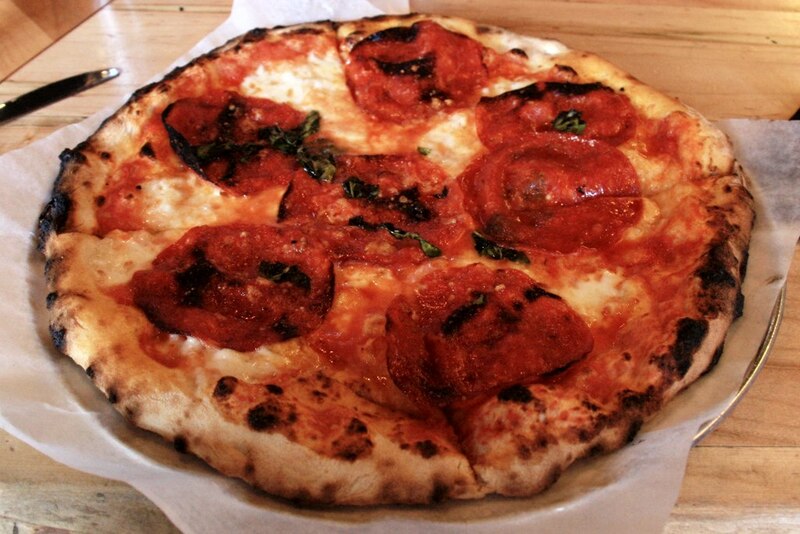 The next day we ventured back to Fired Up for more wood-fired, authentic Neapolitan pizza. 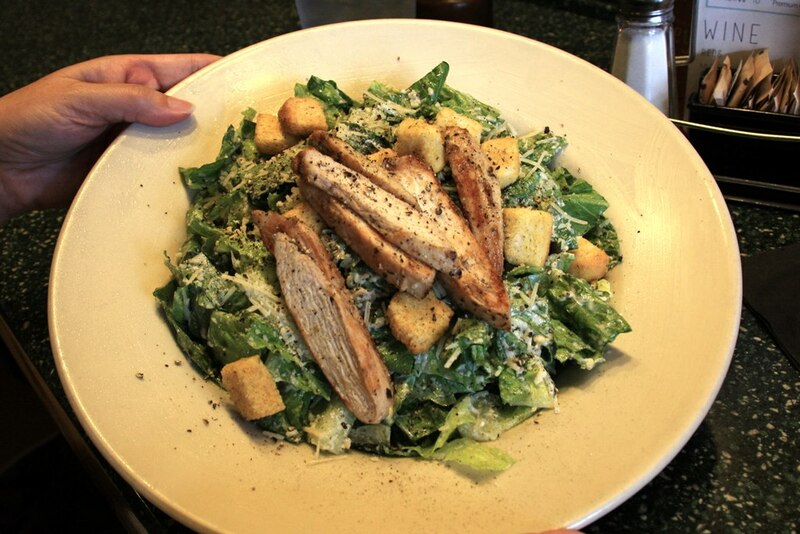 It would be the next day before we changed our routine and still nothing was certain until Karen ordered the chicken Ceasar salad and I went with the Rodeo Burger at Carver Brewing. Without a doubt, it was their beer that brought us back to Carver. 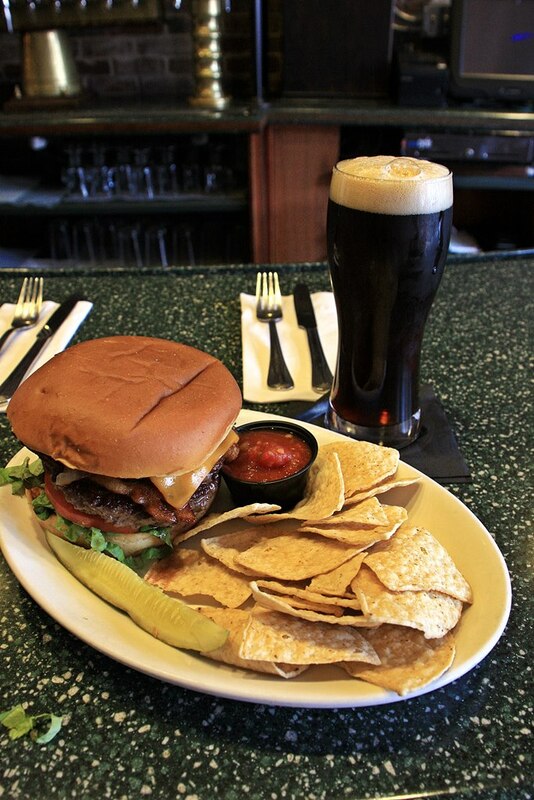 We both had a Colorado Trail Nut Brown Ale and briefly discussed where to eat but after looking at their food menu neither of us could come up with a reason to search any further – another excellent experience in Durango eats. This entry was posted in Beer and tagged Barbecue, Barbeque, BBQ, Beer, Breweries, Brewery, Craft Beer, Motor Home, Pizza, RV, Travel. Bookmark the permalink. 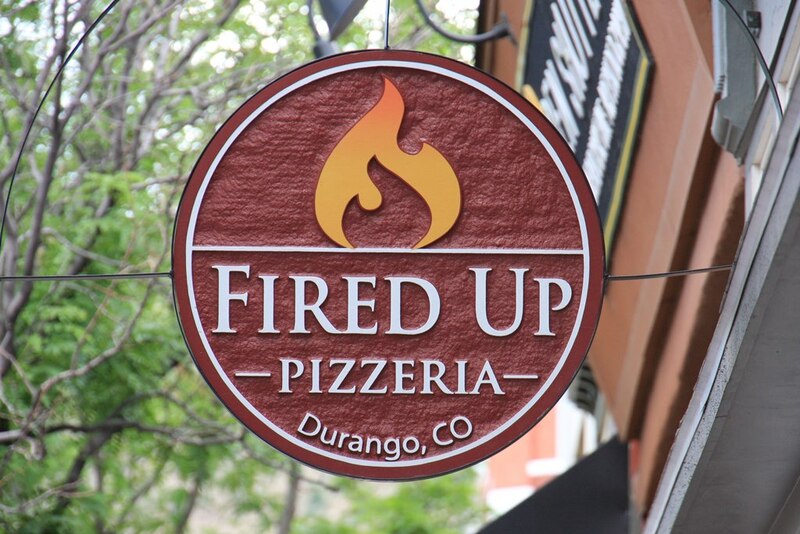 Not only that, the Fired Up pizza IS as good as it looks! Reading your blog makes me one a beer and pizza DAD! I know. I should work for the Pizza and Beer lobby. 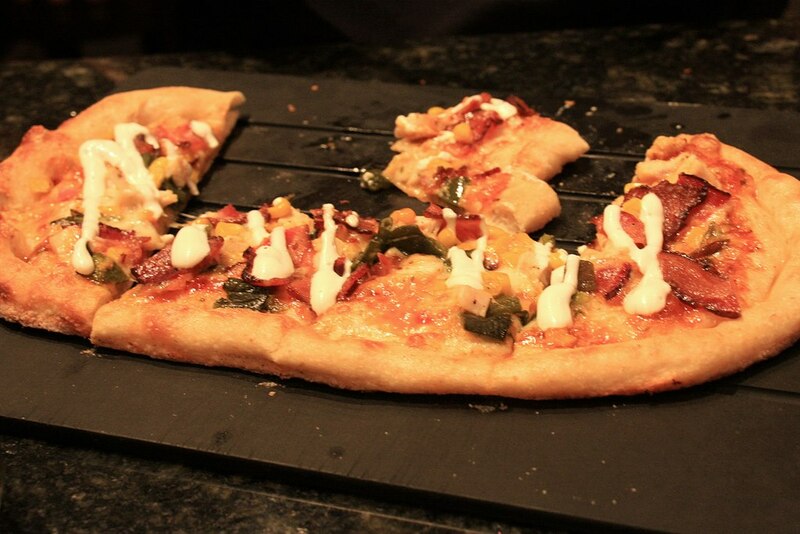 mmm … the Fired Up Pizza looks crunchylicious. Oh, and it was … what you said!